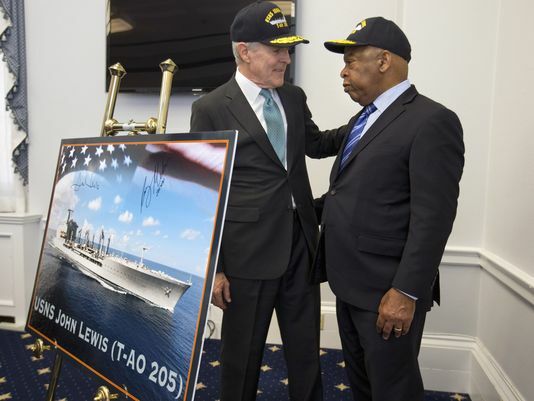 Navy Times reports, “On Wednesday, Secretary of the Navy Ray Mabus named the first ship of the next generation of fleet replenishment oilers the USNS John Lewis during a ceremony held at the Cannon House Office Building in Washington. Mabus says other ships in the class will be named after fellow civil right activists…. Oh my, since Secretary Mabus seems to want to “honor” our country’s Civil Rights activists and leaders, my only question to him is, “Why are you still challenging my claims of Civil Rights and Human Rights violations that were committed against me during my final tour of duty in the Navy. And why do you insist upon denying my hard earned retirement pension?!" After my release from the brig in July 2008, you (the Pentagon) denied me a fair chance to exercise my Civil Rights while serving in the Navy, which subsequently led to egregious human rights violations, as so stated in my recent motion. Yet I'm not the only victim of Civil and Human Rights violations while serving in the military. There are hundreds and thousands of disabled Veterans (even residing in Congressman Lewis' district) who are in receipt of disability compensation, for obvious human rights violations while being exposed to unsafe and hazardous working conditions while serving in the military. 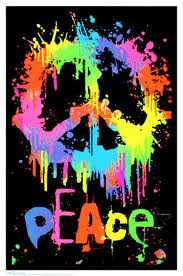 Long after the Vietnam War. I’ve outlined enough information in my memoir, Broken Silence, a Military Whistleblower’s Fight for Justice, to “highlight” the obvious fraud I uncovered as a contracting/budget officer. My claims were reported to the Department of Justice’s Anti-Trust Division weeks before I was ordered to be discharged. Yet ironically the DoJ is defending you?! Although I’m thankful you supported honoring Mr. Lewis’ contribution to our struggle in such a way, I view this as hypocritical and a complete disgrace to Dr. King’s legacy. It was through Dr. King’s steadfast devotion to fairness and equality that President Johnson signed off on the executive order granting us Civil Rights protection, yet over 50 years later our Human Rights are still being violated on a massive scale?! Syneeda this is typical Washington politics. When the Democratic machine appears to show their support for the advancement of African American civil rights issues in America, there is always a hidden agenda. By far the Navy remains the most racist and sexist of all branches of the Armed Forces which is why Mabus stands behind the Pentagon's denial of your retirement pension. As a former Surface Warfare Officer, he will never go against the grain. Though it's difficult to understand the true motives of politicians these days, if it quacks like a duck it must be a duck. You might have to write this one off kiddo as time served and be proud of your service to your country. There's too much riding on this "lucrative" project. John Lewis is simply a placeholder for future shipbuilding contracts because he's always been a "guarantee" for the Party. This is his parting gift for a job well done. Similar to what you uncovered, the Pentagon's good ole boys get what they want and Obama's administration is happy in then end.